My son is fascinated by polar bears. They are the largest type of bear on earth, per my son. He tells me many interesting facts about them. To make his facts more concrete, I created this fun free polar bear paw fact sheet. In each paw, I wrote the facts that my son recalled and then placed them on the floor. We also learned new facts! I backed them with blue card stock. If you have a laminator, laminate for durability! Depending on your needs, the polar bear’s paw fact sheet is available in three different versions. Download our polar bear paw printable to see the different versions. 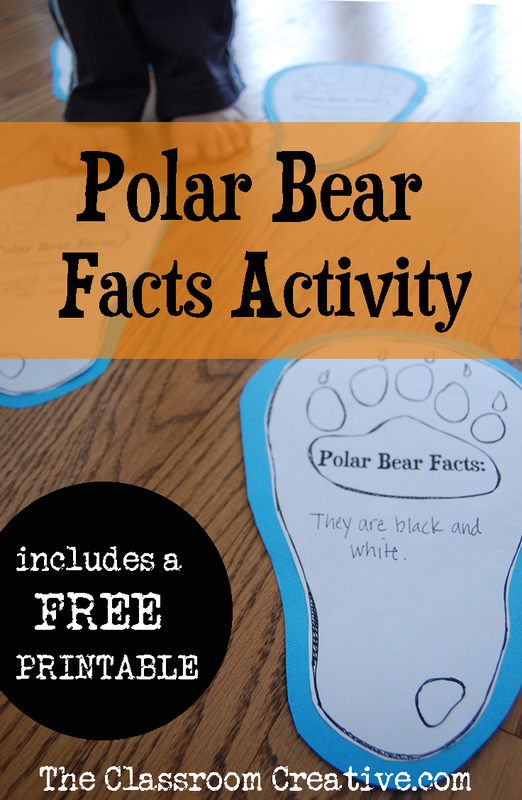 Spread out the polar bears paws wide on the floor and have your kid step wide to each paw or have them step on a fact and read it out loud. This would be a great addition to a polar bear or Arctic animal study. 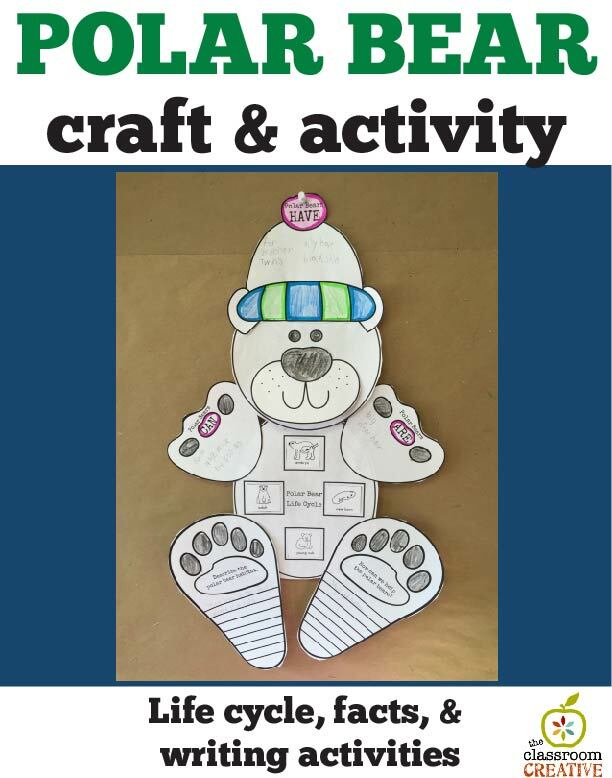 The adorable resource below is part of our polar bear fun! Check it out HERE! Or Grab ALL our amazing winter crafts HERE! This pack includes the polar bear, penguin, snowman, and snowflakes activities and crafts! Don’t stop here! We other another FREE fun activity for your penguin units too! Find it over HERE! 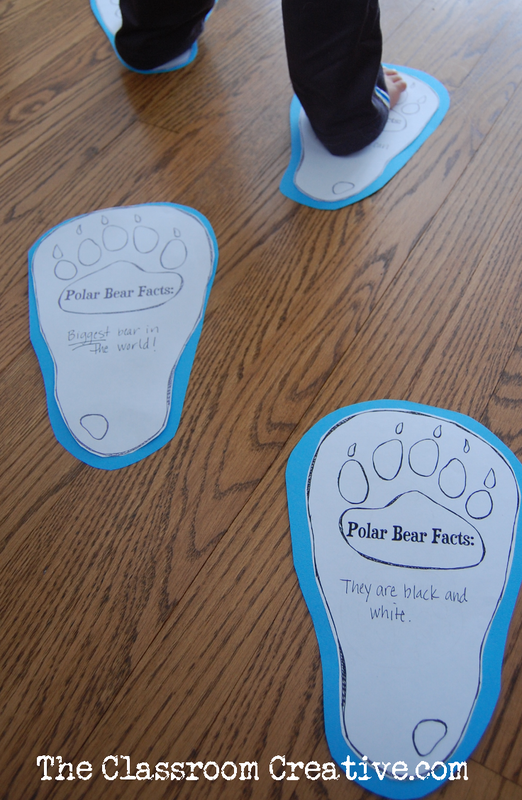 Have fun walking on your polar bear paw facts! We always appreciate a pin, heading to your blog!